I need to preface this post by saying I am always curious by what other people use for products and what they buy. It’s fascinating, right? I’m always in search of fun new things to try and a lot of what I do use has been inspired by a blog post or recommendation. My routine is pretty simple, I’d like to think I’m pretty low maintenance and do the same thing almost everyday. I stick to a few tried and true products and my scent is one of them. 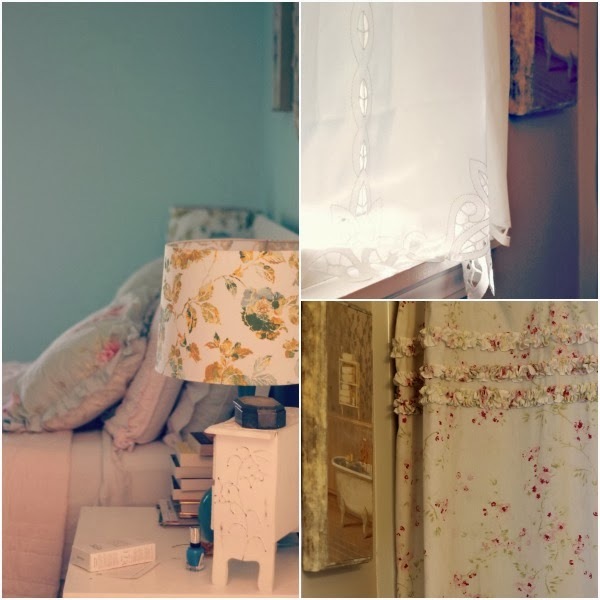 I love Philosophy fragrances and use either the Pure Grace or Amazing Grace scents. Right now I have the super size Pure Grace lotion in the big mama pump bottle (it last about three months) and spray on Amazing Grace perfume. It smells fresh and clean and not like a fragrance, if that makes sense? Sometimes when I want something different I use my Vanilla perfume from The Body Shop, it has a sweet scent that doesn’t smell like fake vanilla. It’s a cozy scent that works nicely in the colder months. I’ve also spoken about Argan oil HERE and I adore it. It keeps my skin hydrated and doesn’t make me break out. I put it on my cheeks after I wash my face at night and often rub it into my hands and the ends of my hair, too. When it comes to makeup I like to experiment with different products a lot, but almost always do my makeup the same way. I dot concealer on the places I need it (everywhere right now it seems) with a concealer brush or my fingers. 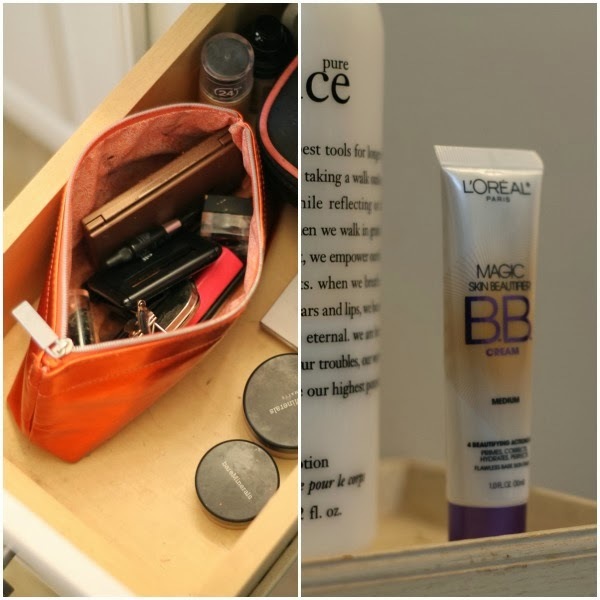 I choose from two types of concealer depending on my needs. This Revlon Colorstay stick is great for quick application and It cosmetics Bye Bye Undereye concealer is great for a more opaque coverage. I rarely wear a full foundation, but when I do I like the Revlon Colorstay kind. I also go in and out of buying Bare Minerals, but I do love the lightweight feel of it and the coverage. I bought the kit from Ulta a couple of years ago and got the brushes and everything included. Now I just get the individual foundation when I run out. 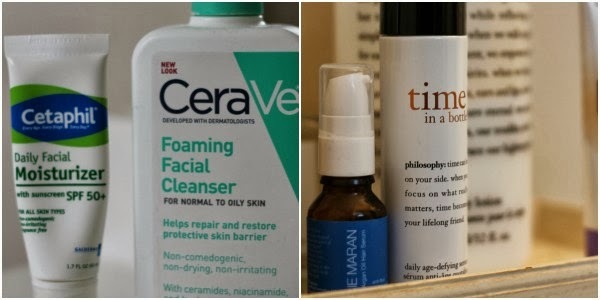 I like to stick to basic face washes and lotions and the CeraVe line (I get it at Walmart) is really nice. It reminds me of the classic Cetaphil face wash, but find it does a better job of removing eye makeup. It has zero scent (which is my pet peeve in skincare products) and is cheap. A win win. I always wash my face before bed and mostly just rinse with cold water in the morning. I tend to shower at night unless I work out, so my beauty routine happens then. I don’t have the time in the morning to do a lot besides throw on clothes and the most basic of makeup. I always wear sunscreen and this Cetaphil kind is a great one. See photo below for why sunscreen (and NOT baby oil) is necessary before the age of 22. Hello, wrinkles. I don’t know if I mentioned before, but my bathroom in my house in Florida was embarrassingly large. The second we saw it we knew we would never have one like it again. My bathroom here is normal (i.e. small!) and has taken some adjustment. I end up using it all to myself as I can fill any space with product before long and my husband uses the bathroom downstairs (and the closet.) Let me just say, separate bathrooms and closets is the way to go in marriage. It’s life changing! He doesn’t complain about my hair all over the place and I don’t complain about falling into the toilet at 2am (whyyyyyyyy?) Life is good. Full disclosure, this product was given to me for free, but all opinions are my own! Oh boy, so these photos are embarrassing and whatnot as they show the real me, two seconds after I take all my makeup off and are unretouched. Long story short, QVC sent me Time in a Bottle to try out (I will refrain from sharing my fan girl squealing at being able to work with a company that I adore) and I was anxious to see if it lived up the the hype. I ‘m not going to lie, I was doubtful that it would make a difference. I decided to take a horrifying closeup photo on the first night I used it (September 5th) and then another this morning (September 24th.) 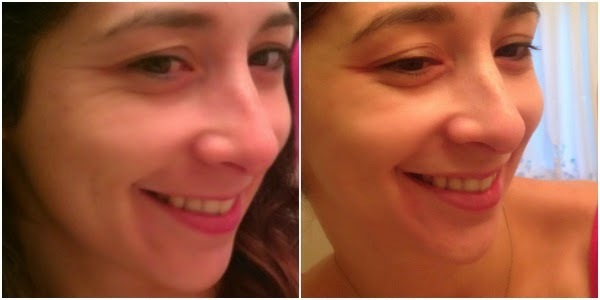 It is always hard to have perspective on changes in your own skin and I was really surprised by the difference I saw when I put the photos side by side. The wrinkles under my eyes and on the sides are drastically reduced and my skin tone seems better. I’ve been using it twice a day, applying it after I wash my face and then adding my other products on. It smells good, too. Not overly strong, sort of like the spa? I wasn’t offended by the scent and I always get offended by scented face products. It’s lightweight and I have been rubbing the excess onto my chest, neck and the back of my hands. A little goes a long way. I’d say this product lived up to its promise, it is time in a bottle. Go figure. 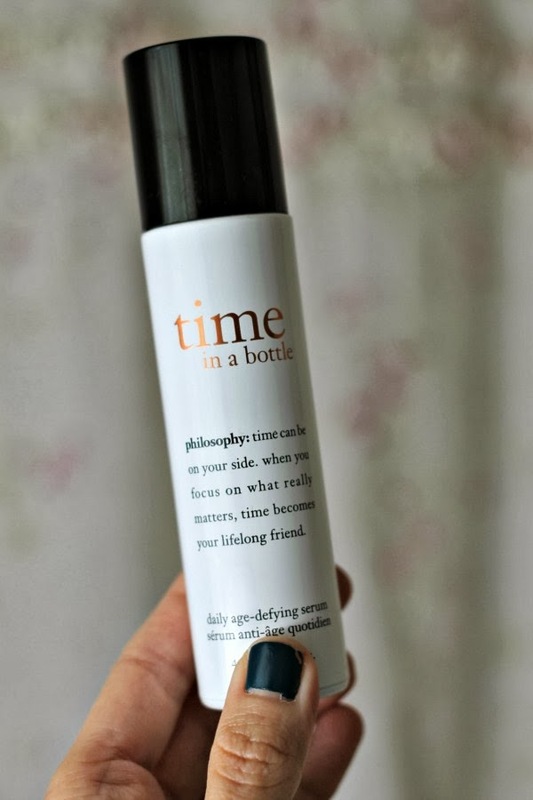 You can buy Philosophy’s Time in a Bottle HERE. 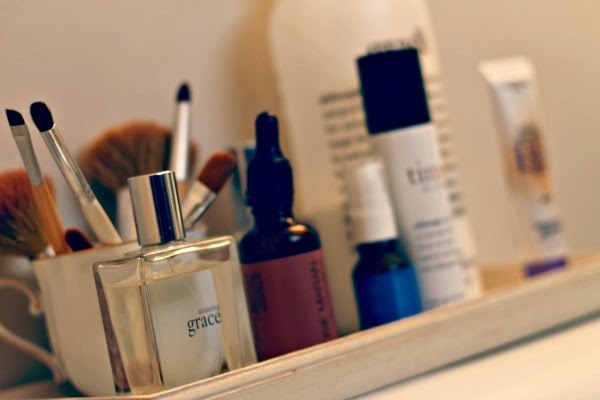 Tell me, what are your favorite beauty products that you are using?